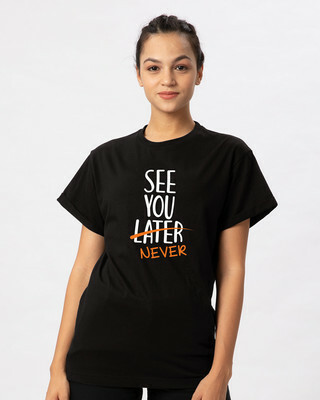 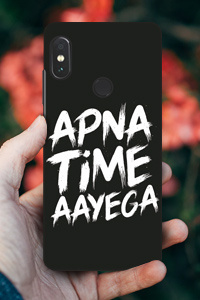 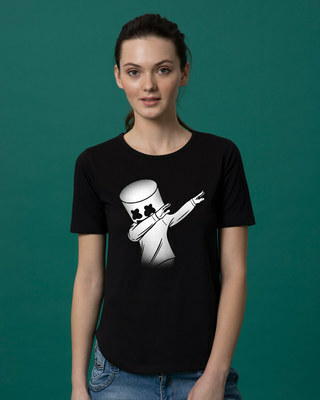 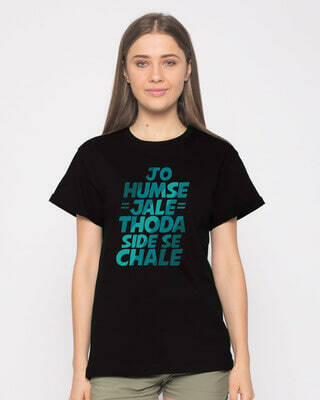 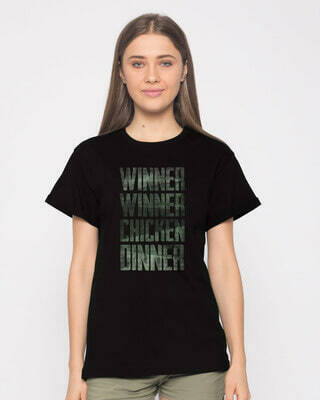 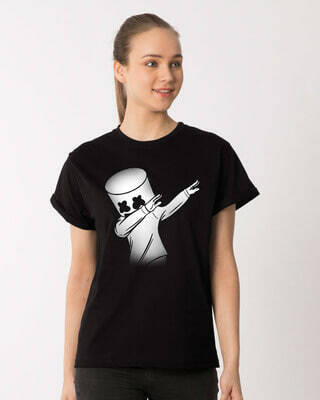 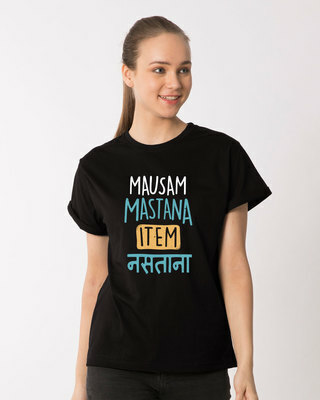 While fashion is constantly evolving, somethings are evergreen, and then there are Black T-shirts. 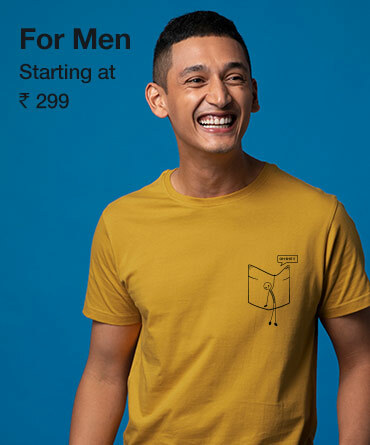 That truly deserve the title of second skin, let’s face it, most effortless and vivacious piece of clothing that you own, just pair it with anything, joggers, jeans or track pants and you’re good to go! 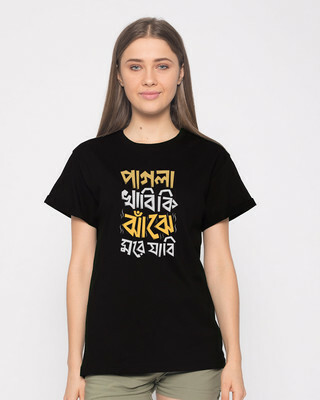 Bewakoof’s long t shirt for ladies & boyfriend T-shirts offers wide selection of cool T shirts for women that come in all shades for your many moods, with these quirky, classic plains, funny and edgy prints or funky glow in the dark womens T-shirts that will add the crazy to your next girls night out! 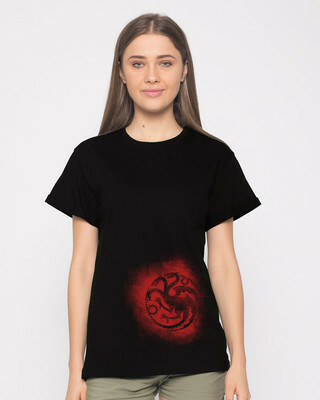 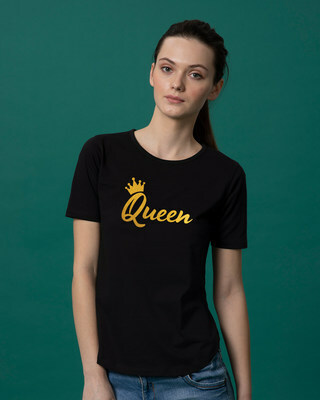 What is the range of our women’s Black T-shirts collection? 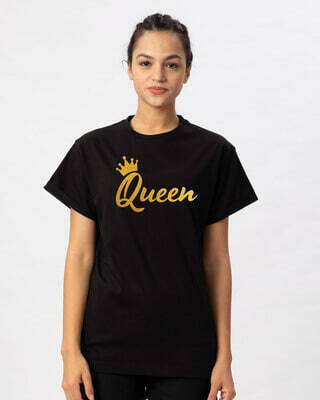 Does our line of Ladies Black T-shirts Online feature a lot of colors? 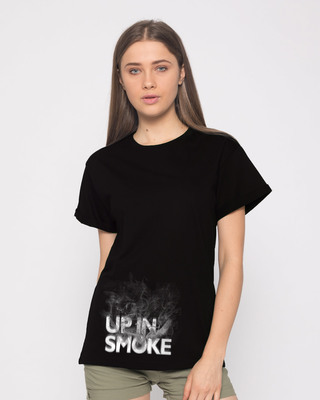 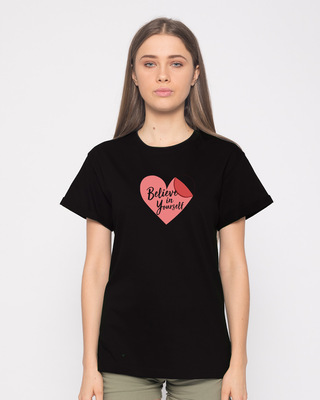 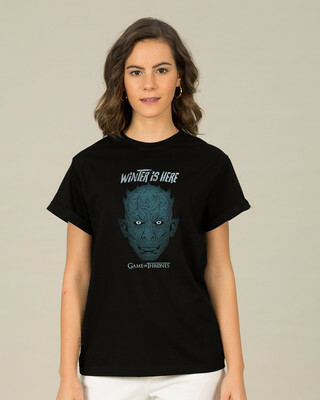 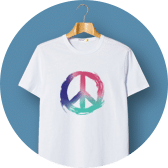 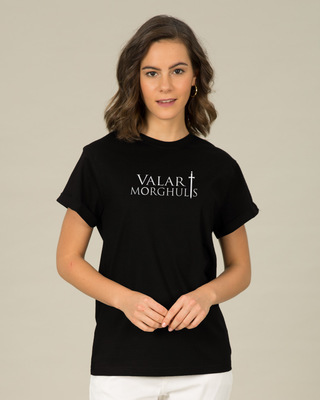 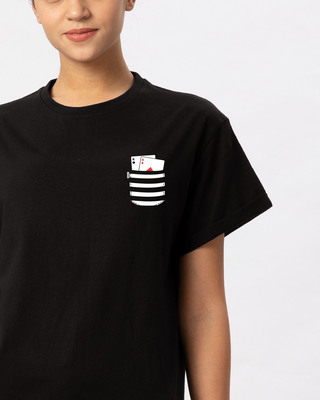 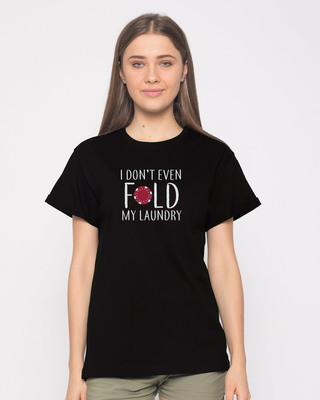 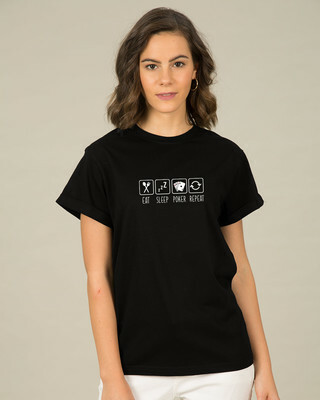 These Black t shirt for womens online are created to cater to an all weather all day approach, with 100% cotton single jersey fabric that is affordable, perspire friendly and airy, to give the second skin feel you’ve always wanted! So go to town with the girl gang in these funny T-shirts for ladies, Boyfriend T-shirts & T-Shirt Dress and keep it fresh everyday! 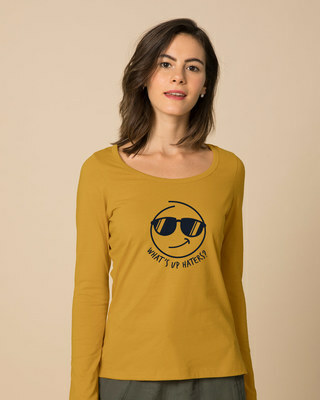 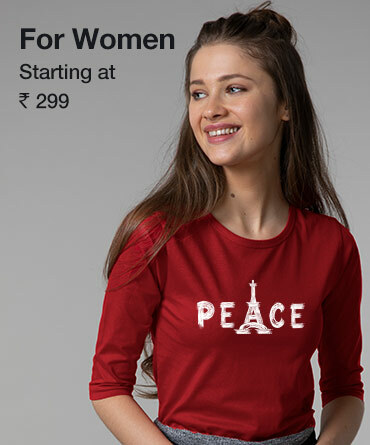 Why should I choose from Bewakoof’s collection of Black T-shirts for ladies selection? For their one-off-ness. 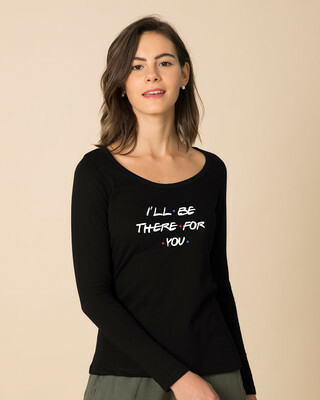 These graphic tees for women are comfortable, edgy, and ultra contemporary in terms of its one-off-ness. 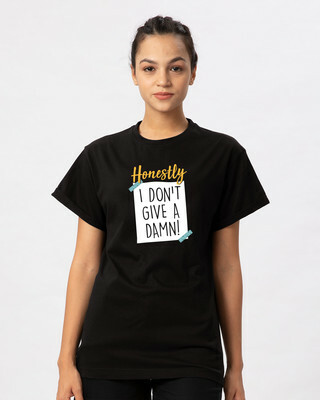 A legit one-of-a-kind, we have created these Black ladies T-shirts keeping in mind the kind of stuff that appeals to our millennials the most! 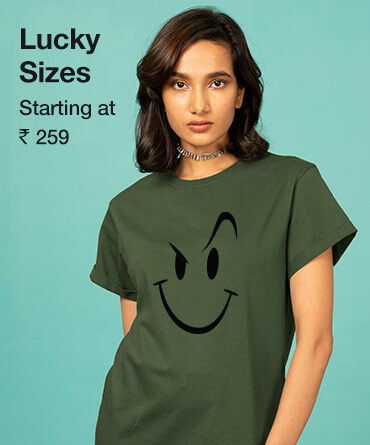 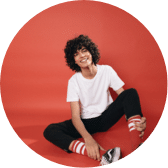 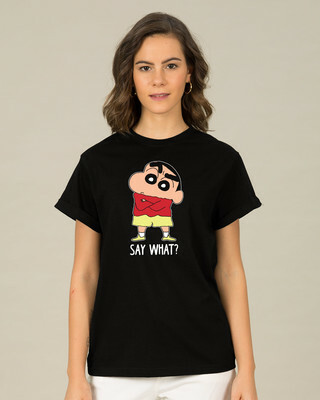 Very unique and extremely stylish; things as simple as t-shirts are enough to slay with the kind of pieces we here at the Bewakoof offer! So buy them online here for the frisky fashion!